The Electronic Federal Tax Payment System (EFTPS) represented a wave of efficiency and ease for business and government alike by replacing paper checks with a method for making electronic tax payments. Under EFTPS, businesses are required to pay most taxes, including FICA, FUTA and corporate income taxes electronically. Not complying with these requirements can subject businesses to a 10% failure-to-deposit penalty with limited options for relief. Compliance with the law obviously requires having a bank account. For most businesses, this is not a problem. Opening a bank account is usually the very first thing that a business owner does when starting a new venture. As marijuana entrepreneurs know, opening a bank account can range from challenging to impossible. The reason is that although 23 states and the District of Columbia have legalized marijuana, at least under certain circumstances, federal law still treats the sale of marijuana as a crime. Banks are concerned that this could open them up to federal charges of money laundering or aiding and abetting the sale of an illegal substance. Nevertheless, marijuana sellers are still required to make tax payments electronically. Without a bank account, marijuana businesses have no choice but to make these payments in cash and risk incurring the 10% penalty for failing to make electronic deposits. Earlier this year, the issue came to a boiling point. AllGreens, LLC, a marijuana dispensary in Colorado, had paid its employment taxes in cash and the IRS imposed the 10% penalty. Under the law, the penalty may be waived by the IRS if a taxpayer can show that the failure to pay electronically was due to reasonable cause and not willful neglect. Reasonable cause is based on all the facts and circumstances in each situation and allows the IRS to provide relief from a penalty that would otherwise be assessed. 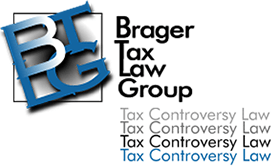 Reasonable cause relief is generally granted when the taxpayer exercised ordinary business care and prudence in determining his or her tax obligations but nevertheless failed to comply with those obligations. AllGreens first took its case to an IRS appeals officer and argued that the inability to open a bank account amounted to reasonable cause and, therefore, the penalty should be waived. The IRS appeals officer was not impressed and upheld the penalty. Not deterred, AllGreens filed suit in the United States Tax Court arguing that the actions of the IRS appeals officer, in failing to waive the penalties, was improper. Before the Tax Court ruled on the matter and shortly after AllGreens filed its case in the Tax Court, the IRS threw in the towel and conceded that AllGreens was not responsible for a penalty. One principle this demonstrated is that despite the fact that the IRS in the 800-pound gorilla in the room sometimes the best way of convincing the IRS to see reason is by filing a lawsuit. However, the story doesn’t end there. Since the Tax Court never ruled the facts of AllGreen’s case, there is no precedent that other marijuana dispensa ries could point to in future matters. To its credit, the IRS issued favorable guidance to its employees on how to evaluate future claims of reasonable cause for what it euphemistically calls “unbanked taxpayers.” The guidance comes in the form of changes to the IRS Penalty Relief Handbook located in the Internal Revenue Manual (IRM).